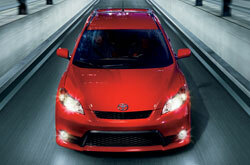 2013 Toyota Matrix research and review from Kenny Kent Toyota, The trusted resource. As the well-known automotive writers performed countless hours of research on the Matrix to provide you with the top information possible. Each passage is full to the hilt with usable material and specs- everything you need to make sensible decisions on your next vehicle purchase. As always, Kenny Kent Toyota is available seven days a week to answer any questions you might have. Don't hesitate to call and speak with a representative. When considering the 2013 Toyota Matrix next to the 2013 Volkswagen Golf, Scion tC and the Hyundai Elantra GT, and you can spot that the Matrix trumps those autos in numerous parts. Look through the hightlights below. Toyota Matrix owners won't get the same phenomenal factory-trained Toyota mechanics and reliable Toyota parts at a aftermarket service company. But at our Evansville dealership you'll get this daily, along with the bliss that comes with having a 12-month long service warranty. 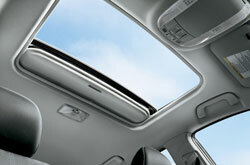 The experts at our Indiana Toyota service center can be trusted to keep your Matrix in top form for years to come. We can manage everything - from wiper blade or tire alignment and checkups to conventional oil and filter changes; we also handle the big stuff, including Toyota shock and strut repairs and more. For both involved and incomplex services, our Evansville car repair center can manage everything; furthermore Kenny Kent Toyota offers cheap maintenance pricing. When you head over to Kenny Kent Toyota's service department, take advantage of huge savings with our specials. Click under this text!